The automaker is living on $13.4 billion in government loans and faces a June 1 deadline to cut its debt, reduce labor costs and take other restructuring steps. If it doesn't meet the deadline, the company's CEO has said it will enter Chapter 11 bankruptcy protection. 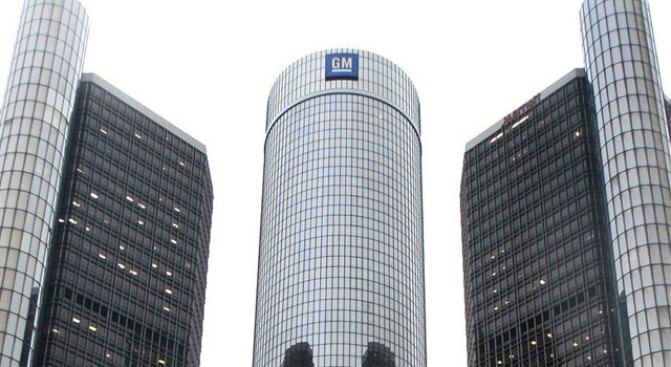 DETROIT — General Motors Corp. is planning to temporarily close most of its U.S. factories for up to nine weeks this summer because of slumping sales and growing inventories of unsold vehicles, two people briefed on the plan said Wednesday. The exact dates of the closures are not known, but both people said they will occur around the normal two-week shutdown in July to change from one model year to the next. Neither person wanted to be identified because workers have not been told of the shutdowns. GM spokesman Chris Lee would not comment other than to say the company notifies employees before making any production cuts public. One of the people briefed on the plan said a few plants that make more popular models could remain open for part of the shutdown period, but at reduced assembly line speeds. Thousands of workers could be laid off but would still get most of their pay because their United Auto Workers union contract requires the company to make up much of the difference between state unemployment benefits and their wages. GM is living on $13.4 billion in government loans and faces a June 1 deadline to cut its debt, reduce labor costs and take other restructuring steps. If it doesn't meet the deadline, the company's CEO has said it will enter Chapter 11 bankruptcy protection. UAW officials at several factories said they have meetings scheduled Thursday and Friday with plant managers and GM human resource officials to discuss production changes. The automaker's sales were down 49 percent in the first quarter compared with the same period last year, and GM had a 123-day supply of cars and trucks at the end of March, according to Ward's AutoInfoBank. That's down from 162 days worth in January. But as of March 31, the automaker had a more than six-month supply of several models including the Pontiac G5 compact and Chevrolet Silverado hybrid pickup truck. The lengthy shutdown likely means that GM doesn't see its sales rebounding anytime soon, said Tom Libby, an independent Detroit-area auto industry analyst. "They must be forecasting a sales level that is low enough between now and the summer that they see their inventories building," he said. "It's sort of an ominous comment on what they see for the industry." The company could be seeing sales decline because of talk about a potential bankruptcy, Libby added. GM CEO Fritz Henderson has said the company would prefer to restructure outside of court, but it is preparing for a prearranged bankruptcy as well as one in which good assets would be separated from underperforming ones. "Just using the word bankruptcy, their (market) share is down a lot just because of this talk," Libby said. "They may be counting on a further decline." Libby, however, said GM should be applauded for not building too many vehicles and then having to spend big on rebates and other incentives to move them, something the Detroit Three have been guilty of in the past. Some GM dealers said a shutdown of up to nine weeks is jarring, but not unexpected given the sales slump. "Nine weeks seems like an awful long time, but the way business is, not an awful lot of cars are being sold anyway," said George Tasker, fleet manager at Martin Chevrolet in Torrance, Calif.
Tasker said the move wouldn't affect business, as dealers would "get together and trade more easily" to find the exact car a customer wanted. Earlier this year Chrysler LLC, also subsisting on government loans, closed all 30 of its manufacturing plants for a month in an effort to counter the auto sales downturn. The Auburn Hills, Mich.-based automaker extended its traditional two-week holiday shutdown period further into January in order to adjust production to slowing demand and conserve cash.